​One World Wellness, a Taoist yoga studio in East Haven CT, welcomes you to an open house this holiday season! Here's what happening . . .
​Come and explore three styles of practice in our studio, sample coffees in our newly-renovated cafe space, chat with instructors, enjoy some eggnog and then join us for outdoor wreathmaking! Choose a style of Taoist yoga! 12:30 PM Daoyin, 1:00 PM Qigong and 1:30 PM Sundo. All Taoist practices incorporate slow mindful stretching while focusing on deepening the breath for relaxation. Discover the similarities and differences among these three Taoist-style yogas to unite body, mind and spirit! ​All classes and activities are free, but donations are certainly appreciated. ​Bring family and friends to this afternoon of celebrating the season! ​Register for classes below (12:30 to 2:00 PM) or drop-in for the coffee tasting and wreathmaking. Try Daoyin, a sheng gong practice of 12 movements to make the body more supple, Movement is combined with specific breathing patterns to increase vital energy and promote health. Qigong is a more flowing type of movement synchronized with breath. It is often practiced along with martial arts to increase vital energy and stamina. Sundo has postures and a type of controlled breathing that is also a way to focus the mind during meditation. ​Try both still and moving postures. Check out One World's cafe and sample the Holiday Spice Blend, a freshly-roasted coffee full of ground cloves and cardamon. ​Then, have a glass of eggnog -- or you can even make your own coffee eggnog by combining it with a little Holiday Spice! 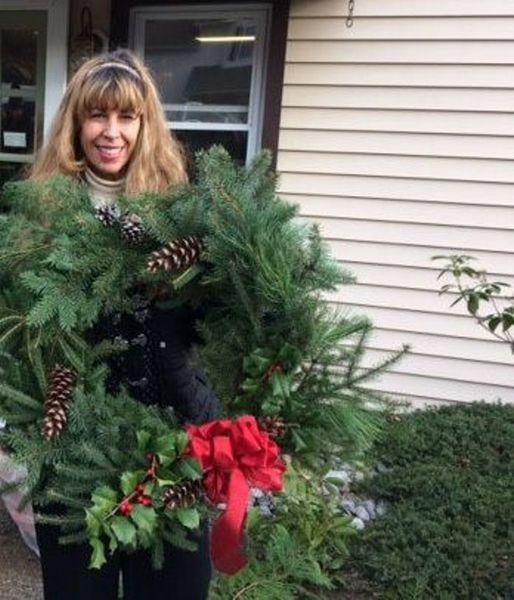 Learn how to make your own holiday wreath using coat hangers as a frame. Please bring your own metal hangers, or another type of frame, and any decorations to include in your wreath. Pine boughs, pine cones and holly are provided. Other craft supplies that will be available include green wire, snippers and a glue gun. Get Directions! ​Drop-in for the coffee tasting and wreathmaking or register for classes.